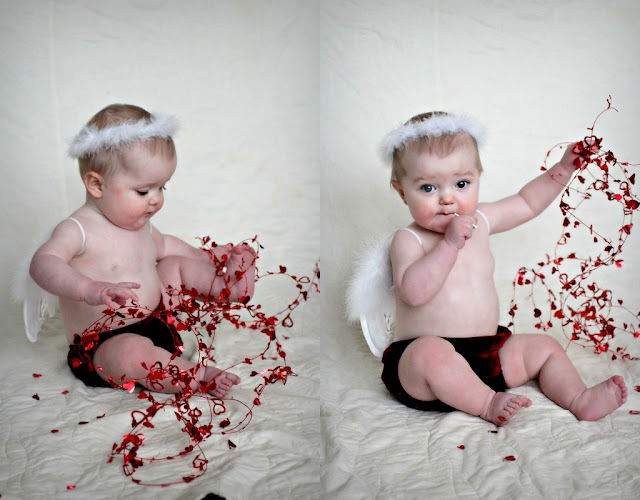 Hope you've enjoyed these chubby little cherubs! And Happy Valentines Day from The Meyers! 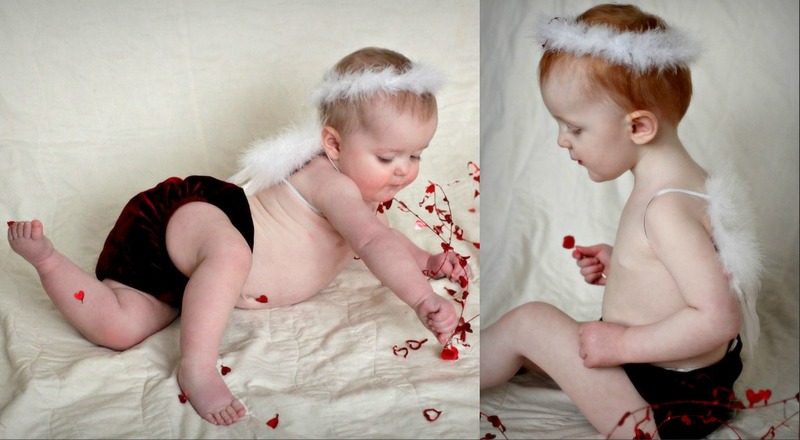 How cute are those red velvet bloomers! Oh my! They are so cute and adorable..
Aw, I just love the red hair! 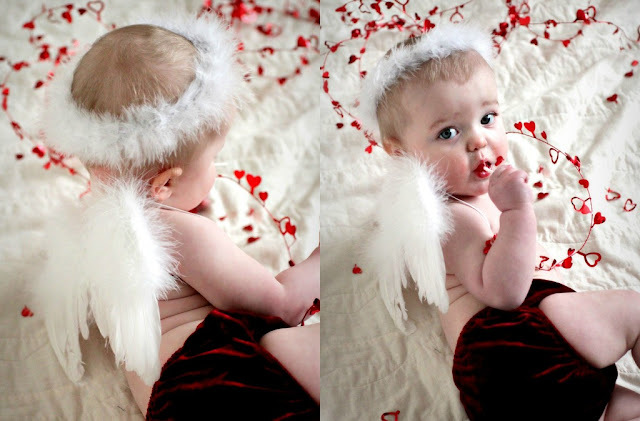 And the little halo's & wings. Too cute! aw thank you so much! I love her red hair, I just hope she keeps it and likes it will when she gets older! so adorable... love their red hair... Hope you had a nice Valentines Day!